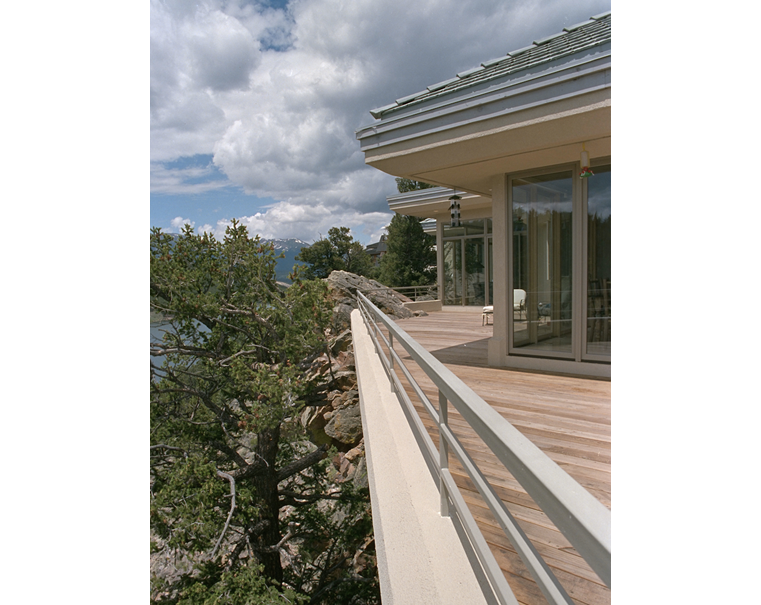 Perched atop a large outcropping of rock overlooking Lake Dillon, this residence takes full advantage of the breathtaking panoramic views of the Rocky Mountains. 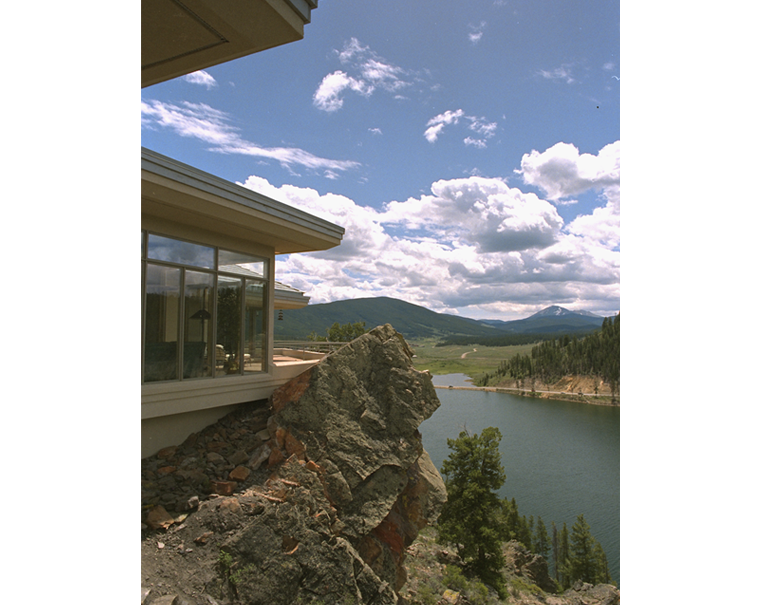 The pinnacle rock that structurally anchors the home plays an integral part in the home's design by piercing through the grand terrace. 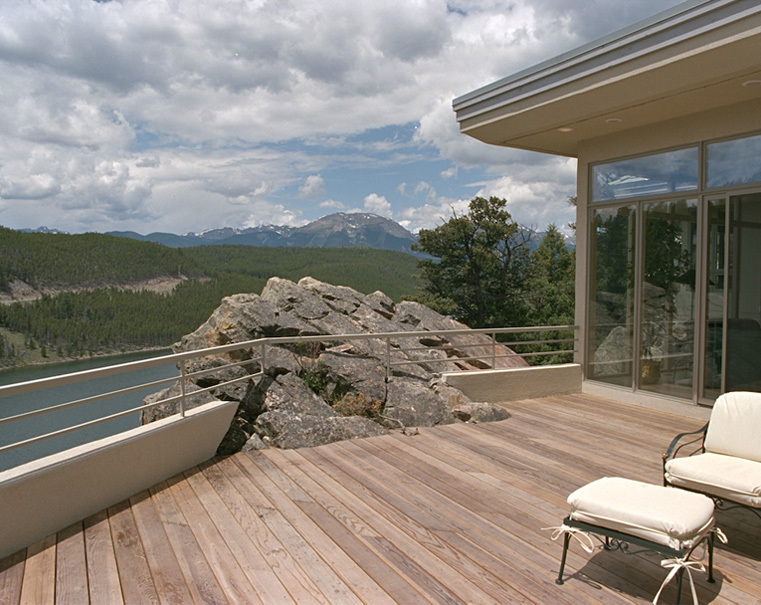 The cantilevered living room features floor to ceiling glass, floating it above the water below. 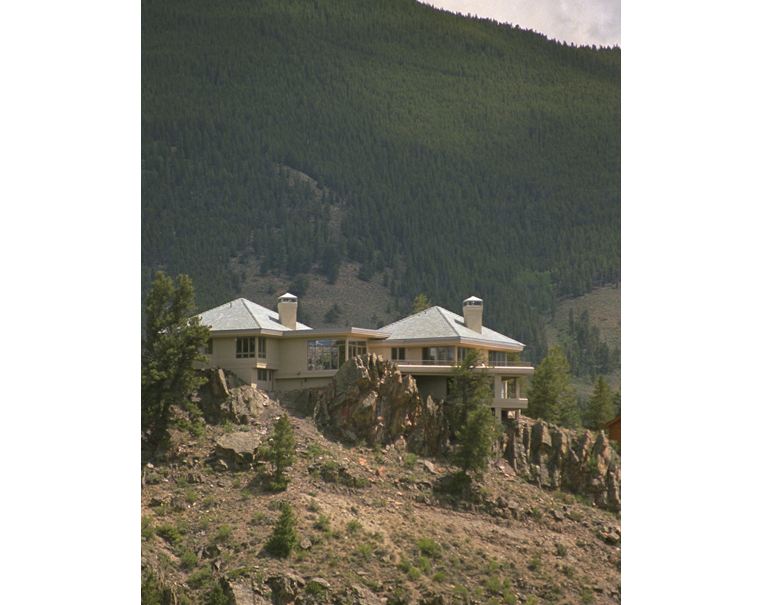 The design evokes the client's desire for the drama of ancient cliff monasteries.